Treat other people the way you would like to be treated. Let’s go the whole nine yards. You prefer to be treated the way you prefer to be treated and not the way other people treat themselves or the way someone else wants to be treated. I can massage the calves of someone’s legs because they really like that, but please do not massage the calves of my legs because I do not like it. In fact, I might kick you if I’m not paying attention. I don’t always want the same treatment that you find pleasurable, even if you think you’re being kind. But I love to have my feet massaged which some people do not enjoy. So, ask. Check out your perception of what you consider kindness. 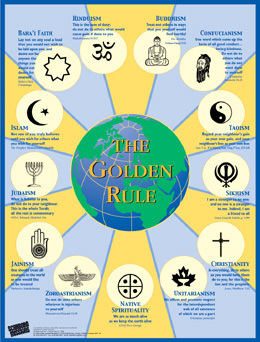 Today, on Golden Rule Day, see how much kindness you can share with the world. Focus your intention on giving and receiving kindness with an open heart. And, when in doubt, ask.